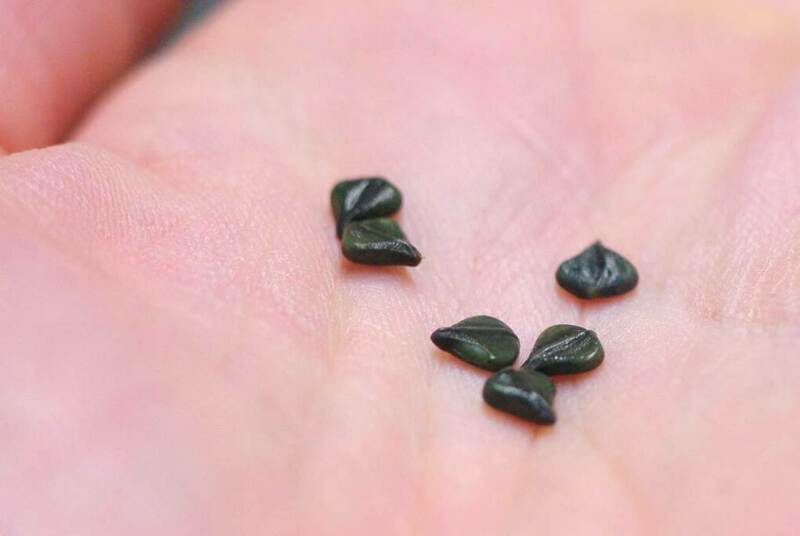 Not only were they seeds of plants that I haven't grown, but I bought from somebody that I haven't tried before: Onalee seeds. Onalee appears to be a very small operation: two people. On her website (which can use an update) Onalee says that "Neither of us are 'professional' gardeners or even a master gardeners, we're just regular gardeners and plant lovers sharing the flowers and plants that we love and that we find easy to grow..." Sounds like me! 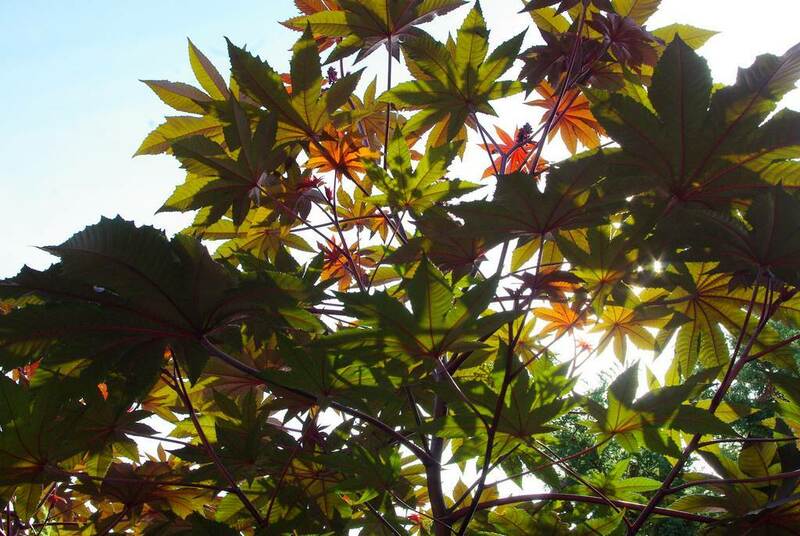 It's a form of castor bean that is a bit difficult to find right now. I saw some of these plants growing locally this past year and thought they were so much more attractive than the 'Carmencita' castor bean plants I've been growing -- I'm not a big fan of the fluorescent red seed pods on 'Carmencita'. 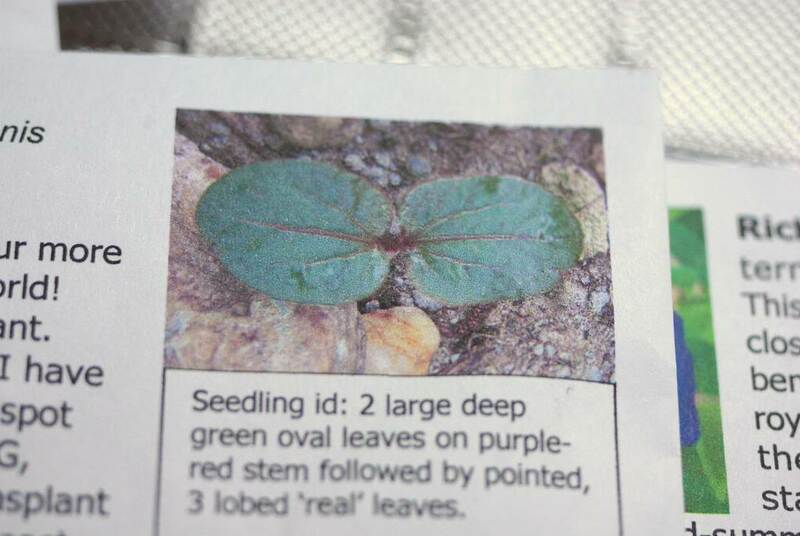 After some research I found out that these plants are 'New Zealand Purple', or as Onalee calls them, 'Purple'. Whatever they're called I jumped at the opportunity to buy some seeds! 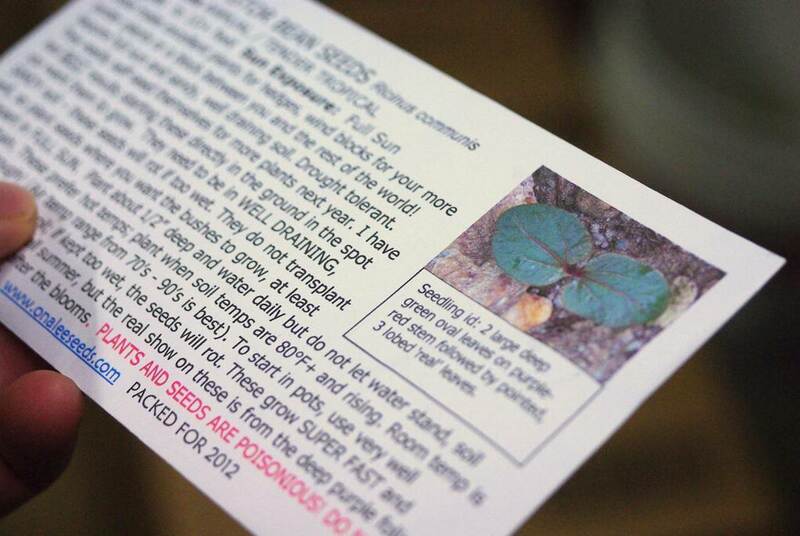 These appear to have been printed on an inkjet printer, which supports the fact that this is a small operation. I'm not criticizing -- I love these packets! Since Onalee offers free shipping on orders over $6, I added a second seed packet to my order to get me over that total: Senna alata. Again, something I've not tried before (and another BIG plant!). 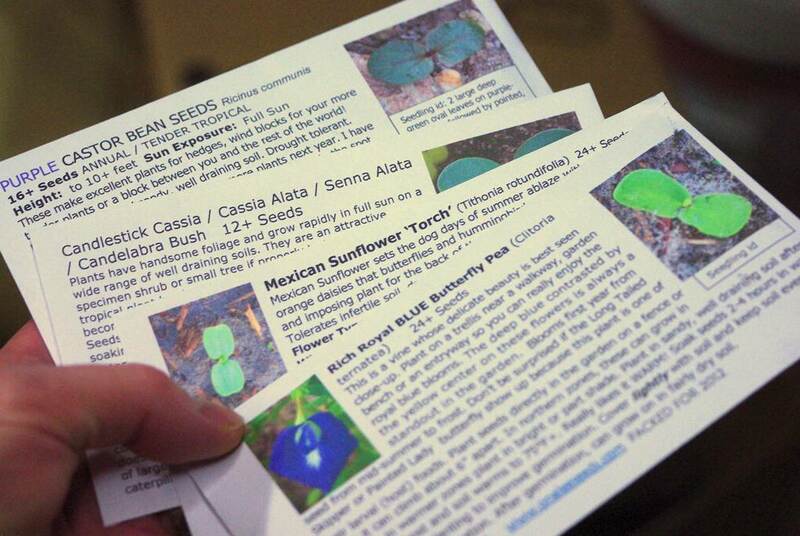 Cool seeds, and the host plant for some butterfly caterpillars. 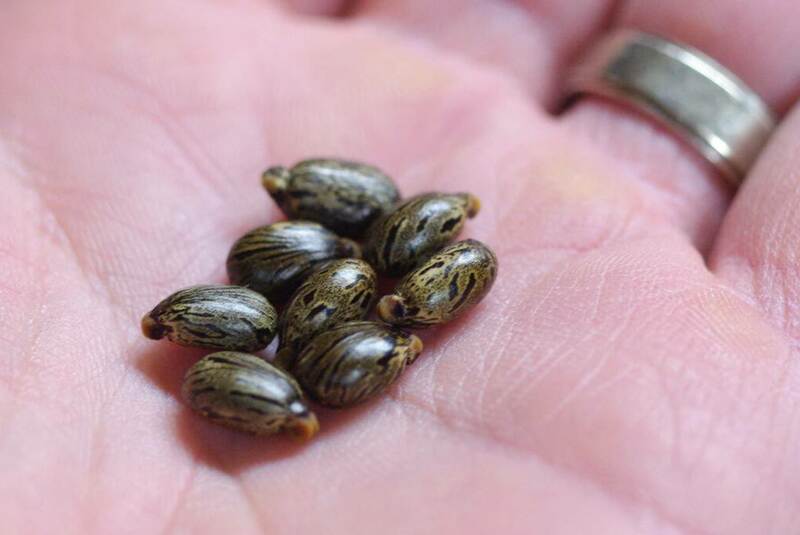 I'm going to get a few castor bean and Cassia seeds started right away to see how quickly they grow and to ensure I have some bigger plants earlier in the season. The others will wait for another couple of months for it to warm up before I start them. So here's another seed company that I'll add to my list for future purchases -- although since her selection isn't as large as bigger seed companies I probably won't be needing to buy from her again. I definitely would though. Now, time to soak some seeds! Had a good giggle how you went from buying one pack of seeds to four! 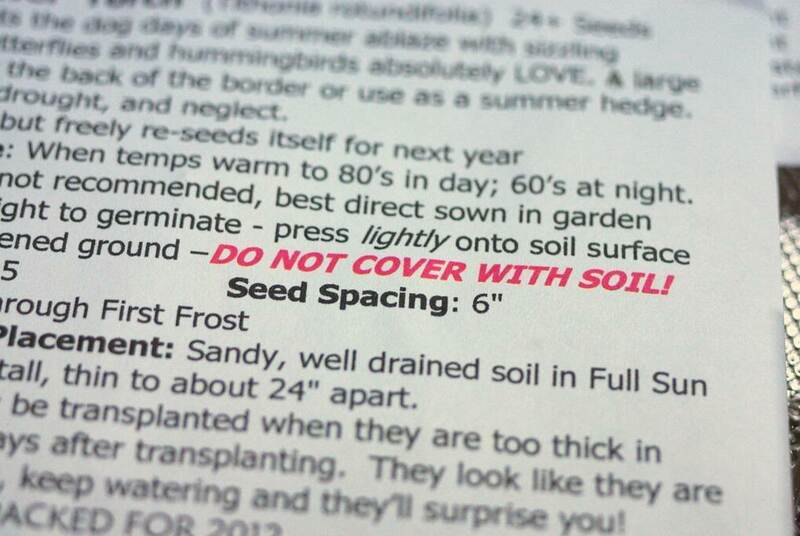 I love how Onalee have packaged their seeds with the info on the packs - I wish my online seed suppliers did that. Very nice! 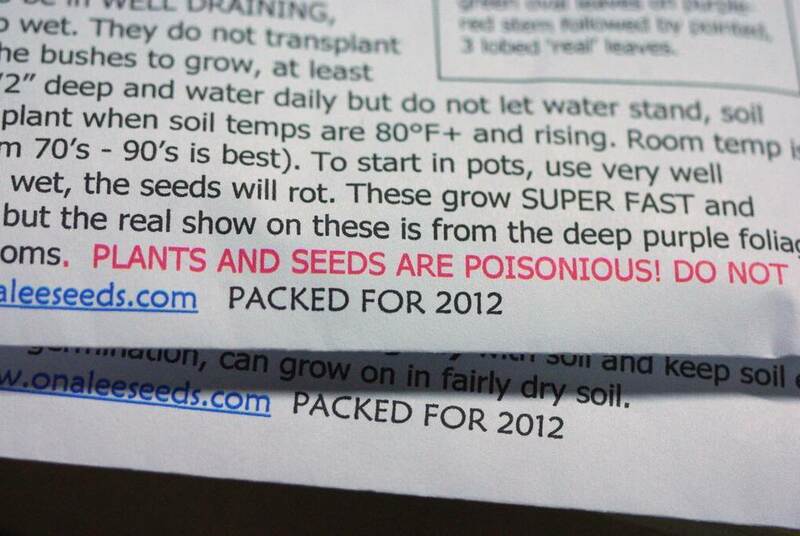 I've ordered seeds from Onalee before and remember loving those packets! 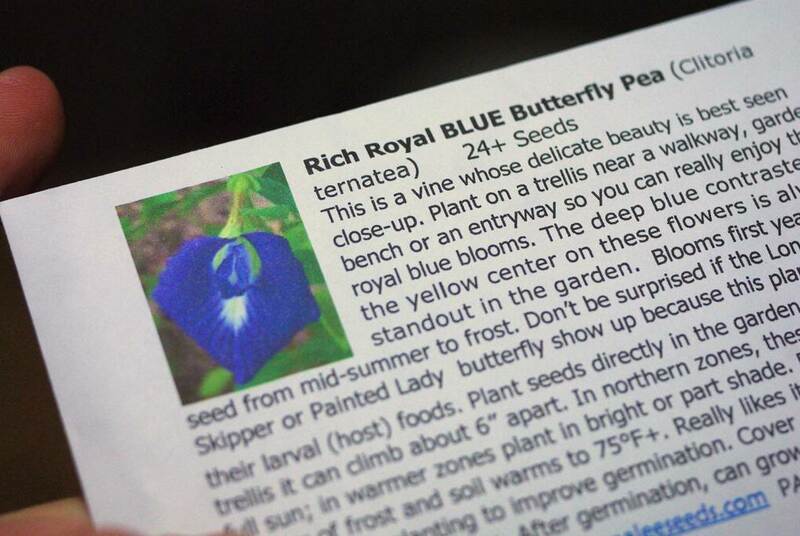 Those are some gorgeous seeds.